Japanese investor and Internet giant SoftBank Group Corp has reported a valuation loss of $1.4 billion on its two flagship investments in India, cab-hailing app Ola and e-commerce marketplace Snapdeal, its annual report for the financial year ended March 2017 shows. The report says the company "recorded loss from financial instruments at Financial Assets and Liabilities at Fair Value through Profit or Loss (FVTPL) of ¥160,419 million ($1.4 billion)." This mainly resulted from a fall in the fair value of financial instruments at FVTPL from March 2016 to March 2017. "Financial instruments at FVTPL included preferred shares of Jasper Infotech Pvt. Ltd, which runs snapdeal.com, an e-commerce site in India, and ANI Technologies Pvt. Ltd, which runs Ola, a taxi-booking platform also in India," the report said. "[The] Highly competitive e-commerce market in India has made a trend of the company’s business performance lower than initially anticipated," the report added, referring to Snapdeal's dismal show over the last few quarters. It is pertinent to mention here that SoftBank, which has so far pumped $900 million into the home-grown e-commerce company, is orchestrating its merger with bigger rival Flipkart and pushing for a consensus on the Snapdeal board. A SoftBank spokesperson declined comment. Email queries sent by VCCircle to Ola and Snapdeal did not elicit a response at the time of publishing this report. The loss on financial instruments of ¥160,419 million ($1.4 billion) compared to a gain of ¥114,377 million ($1 billion at current exchange rates) in the previous fiscal. Note that these numbers often reflect intricacies of accounting practices and currency fluctuations, and should not always be looked at in absolute terms. 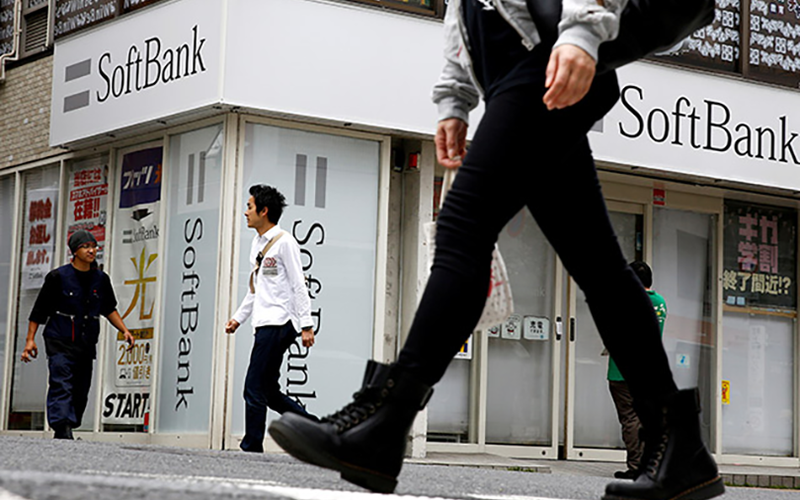 SoftBank reported a foreign exchange gain of ¥53,336 million ($467 million) in FY17 compared with a loss of ¥41,414 ($363 million at current rates) in the previous year. The investor had reported a loss of ¥58.1 billion ($555 million) on its financial instruments for the six-month period ended September 30, largely due to a decline in fair value of preferred stock investment, including embedded derivatives investments in ANI Technologies and Jasper Infotech. Of this, nearly half was booked as a loss due to appreciation in the Japanese yen. In the first quarter of FY2017, SoftBank had booked a loss of ¥30.2 billion ($295 million then) from a decline in the fair value of Snapdeal and Ola shares, mainly due to the appreciation of the yen against the rupee. SoftBank holds a significant minority stake in Snapdeal. It had led a $627-million round in the company in late 2014, followed by another round of $500 million in 2015. In total, Snapdeal has raised around $1.65 billion from about two dozen investors, including SoftBank and SoftBank-backed Chinese e-commerce company Alibaba, Taiwanese contract electronics manufacturer Foxconn, global online marketplace eBay Inc., ad-for-equity investment arm of media firm Bennett Coleman & Co. Ltd, and venture capital investors such as Bessemer Venture Partners, Intel Capital and Kalaari Capital, among others. In April this year, Bangalore-based ANI Technologies Pvt. Ltd, which operates cab-hailing firm Ola, had secured Rs 1,675 crore in fresh funding from SIMI Pacific Pte, a SoftBank subsidiary, documents filed with the Registrar of Companies (RoC) showed. Snapdeal and Ola are not the first Internet firms from India to see valuation markdowns. Top e-commerce firm Flipkart has witnessed at least half-a-dozen international funds pare down the value of their investments in the company.